It’s easy to dismiss Pop Art as a sham, and that’s certainly been done many times over. I used to do it. Purveyors of Pop Art are perhaps pretentious in their elevation of the disposable, but its opponents can be just as much so in their rejection of the concept. Just because someone’s decided that a painting that perfectly recreates a soup can is worth millions while the soup can itself can be had for under a buck is no reason to throw out the baby with the bathwater. 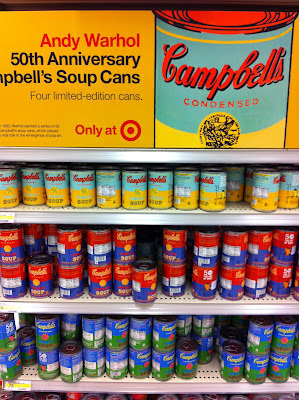 The key is to understand what’s beautiful about the soup can in the first place. Andy Warhol personified the Pop Art movement more than anyone, and was probably called a hack four times for every time he was called a genius. Like most things, the truth exists somewhere in the middle. What brought me around was getting to understand that Andy and I just liked a lot of the same stuff, and he lucked into a really fun place to be by celebrating it his own way, but was really quite harmless. Being mad about Warhol is like being mad about a photograph of a banana split. 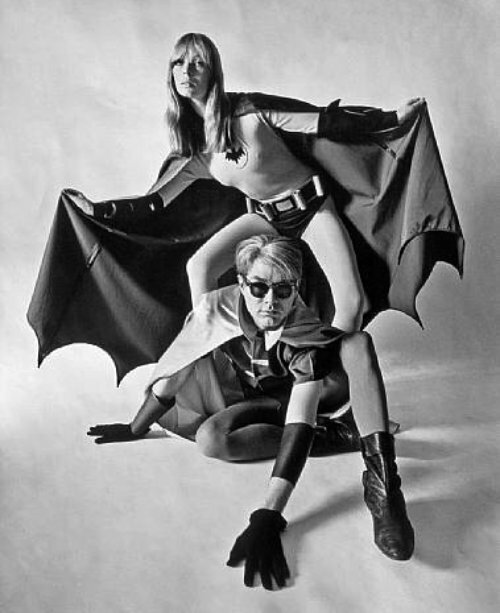 Nico and Warhol dressed as Batman and Robin for Esquire, just before Adam West and Burt Ward made the scene. The guy who I’ll never particularly respect is Roy Lichtenstein. Made millions selling and promoting enlarged, crude, simplified versions of comic book panels that he shamelessly copied. I might be reaching or somewhat blinded because this kind of thing tends to piss me off, but I would venture to guess that most of the people who bought this guy’s work looked down on comic books and would never begin to think of them as “art” at all, highbrow or lowbrow. To make matters this much worse, a great portion of the artists he stole from never got credited for the comics they did in the first place, even inside of the books. A guy named David Barsalou has a great website on the matter. 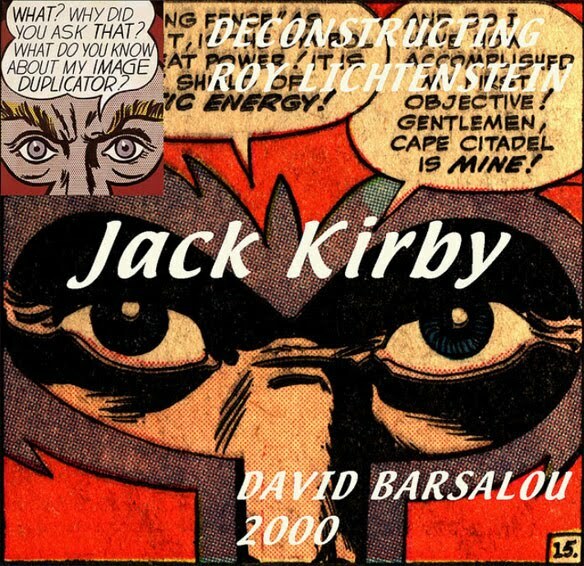 One of the panels I’ve chosen to show here (I could’ve chosen from a great many that are much more disgraceful, unfortunately) was ripped from Jack Kirby, one of the greatest comics artists of all time. Of course, there’s also the irony of the “Image Duplicator” line. Warhol would reproduce images everyone knew already, but Lichtenstein was robbing creators of their due. That’s the difference between good and bad Pop Art, strictly in it’s most commonly defined form. That’s not really what I think of as Pop Art, though. I think the real art is in the comics and cans, not the well known guys who put what we saw already onto another canvas. Modern Artist Jackson Pollock once opined that it was silly to ask what his art meant, when nobody is ever particularly interested in knowing the deeper meaning behind a flowerbed. I think we’d all be appreciating art at best capacity if we eliminated much of the critical instinct to over-analyze. For a couple on months in 1965, publisher Martin Goodman, ever mindful of profitable trends, changed the name of his company from Marvel Comics Group to Marvel Pop Art Productions. Fan mail on the subject was immediately negative, as is often the case with any change in a popular product, and the name was quickly changed back. It’s worth pondering- is it possible that Marvel adapting the very name of the movement, elevating and proclaiming the original work of their artists as viable art so early and vocally in the life of the term Pop Art and letting it stick would’ve meant greater respect in the long run? We’ll never know, because somebody was afraid they might lose a couple of dimes. There’s irony in there somewhere.